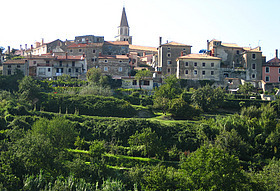 Istria is very specific region thanks to its complex and heterogeneous cultural tradition. The small triangular – shaped area that geographically forms Peninsula called Istria, deeply cut into the Adriatic, with its greatest part in the Republic of Croatia, a lesser one in the Republic of Slovenia and the smallest one in the Republic of Italy, is an area where three main European peoples – Slavic, Latin and German meet, collide and permeate. Each of them has left evidence in the culture, on monuments and the mentality of its people. Different historic traces have integrated into authentic Istrian cultural features. Even though Istria is a region where different nations and ethnic minorities coexist, its resident population managed to preserve its traditional customs and cultural attributes throughout history. These values form foundation for cross – border cooperation and development, especially in the area of cultural tourism. 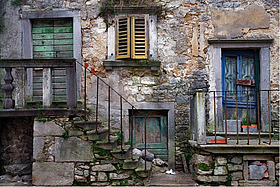 During the second half of the former century, tourism became an important economic industry in Istria. Based largely on a 3S concept (sea/sun/sand) the tourist industry was developing only at seaside resorts and during summer. As a result, better job opportunities and greater economic development ensued only in narrow seaboard of the Istrian peninsula. Subsequently, hinterland and countryside inhabitants have moved to the coastal towns, leaving their homesteads behind them, which resulted in unpopulated hinterland, forsaken farms, dilapidated cultural heritage, and in the long run in the degradation of traditional lifestyle and customs. Today’s phenomenon caused by rapid industrialization and urbanization has initiated development of agritourism and cultural tourism what resulted in re – population of the rural inland area. Tourism, as developing instrument for an undeveloped rural and urban environment, not only does it stimulate the necessity for evaluation and protection of the cultural heritage and human resources, but also it improves the quality of tourist offer and it encourages yearlong tourism. Istria has many predispositions to develop cultural tourism with the intention of preserving cultural resources that are in most cases unprotected and exposed to damaging. Istria and neighbouring Slovene region have joint cultural heritage what makes cross – border collaboration even more feasible in creating an undivided cultural tourist area. The project The Heart of Istria will create good foundation for continuous co - operation and sustainable cultural cross – border development thanks to exact evaluation of the cultural heritage and tourist promotion of new cultural itineraries. Additionally, the project will encourage interdisciplinary co – operation gathering experts from cultural, tourist and scientific sectors as well as collaboration with various relevant institutions, which will make a positive impact on final results and products. Distribution and promotion will facilitate dissemination of final results with the aim of widening the main project idea even after its implementation. publishing, promotion, dissemination and verification of final results.